O my God and my all! Fr. 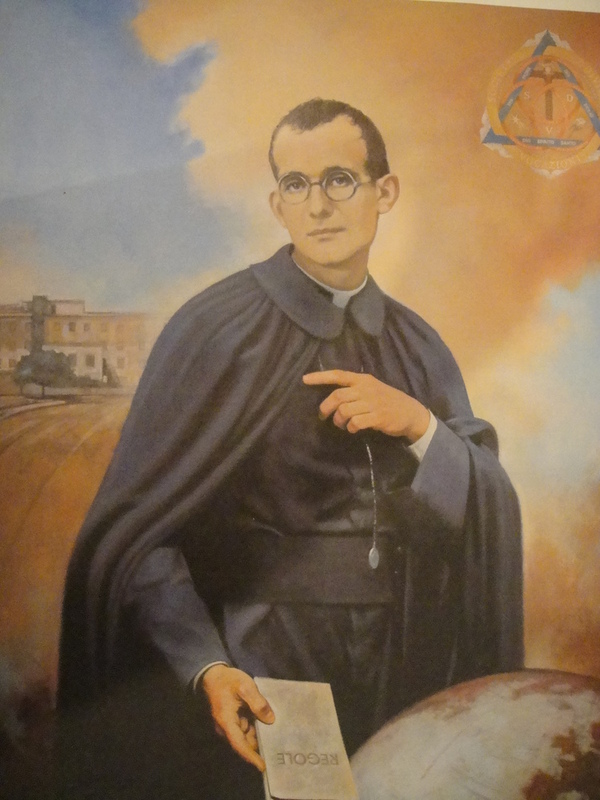 Justin Maria Russolillo, the Founder of the Society of Divine Vocations, was born in Pianura (Naples, Italy) on January 18th, 1891. He was ordained a priest on September 20th, 1913. No sooner he became the pastor of Pianura on September 20, 1920, than he began working for the realization of his dream. That same year, the first community of the Society of Divine Vocations, which became known as the “VOCATIONIST FATHERS” came into being. The Society of Divine Vocations received its first Diocesan approval on May 26, 1927. It became a Congregation of Pontifical right on May 24th, 1947. Fr. Justin established the Vocationist Fathers and their special charism to foster and promote vocations to the priesthood, religious life and holiness among all God’s people. To carry on this vocational work Fr. Justin established the Vocationary, a special house of formation that would supply vocations to both religious order and diocesan seminaries. For those who are undecided whether they want to be a Vocationist, a Diocesan priest or a member of another religious community, the Vocationist Fathers offer the Vocationary, a place of vocational discernment. The Vocationary was established specially to attend to the needs of those financially unable to attend the seminary and those who are still searching and discerning their vocation. By establishing the Vocationary, Fr. Justin focused his attention not only on candidates seeking a religious or priestly vocation, but also on those who had left the priesthood or who were in danger of doing so. Thus, the Vocationary has often given life to those who had abandoned the active ministry. Fr. Justin died on August 2nd, 1955 at Vocationist Fathers Motherhouse in Pianura. On December 18th, 1997 Pope John Paul II recognized Fr. Justin heroic virtues and proclaimed him a Venerable. On July 1st, 2010 Pope Benedict XVI signed the decree of validity of the miracle by Fr. Justin intercession to Ida Meloro of East Hanover, New Jersey (USA). The ceremony of beatification is set for May 7th, 2011 in Pianura (Naples, Italy), birthplace of Fr. Justin.